Settling into the energetic reset of 2017 brings a much needed sense of relief and reflection. Focusing on the work of casting and producing narratives of underserved voices has taken on an urgency and personal mission for completion. I am humbled and grateful for the gift of family, and the creative collaborations which have evolved into meaningful friendships. Shooting will take place in LA and NY. The narrative is experimental yet universal in the questions it asks and discoveries it seeks. I am looking forward to introducing another LA based creative team to the amazing talent NYC has to offer. Much preparation is underway to complete in 2017 our feature documentary in production, And…Seen. 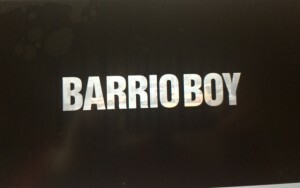 Barrio Boy the narrative feature written and directed by Dennis Shinners of Cautious Films www.cautiousfilms.com is about a young man’s quest for self discovery in the midst of neighborhood chaos, cultural stigma and isolation has been 40% shot. Phase two pre-production begins Spring 2017. I couldn’t be more proud of the stellar cast, and it is a joy to also be a co-producer. 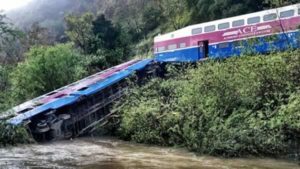 Derailed, the gripping psychological feature thriller is in post production. Written masterfully by Tracy Andreen, directed by David Jackson, produced by Michael Buttiglieri of Divine Immortality Productions and Executive Producer Marguerite Henry of Mar Vista Entertainment. It was great to team up with these great LA based professionals. I anticipate a successful festival season and distribution. I remain grounded by continuing to teach and work with young, professional actors at The Performing Option www.ThePerformingOption.com, workshops for the SAG-AFTRA Foundation www.sagaftrafoundation.org and as a private audition coach.